Adventure and sports have tremendous potential towards promotion of tourism. They have always been an integral part of tourism. They cater to the carving of humans for recreation, enjoyment and adventure. A wide range of sports, leisure activities are available in India. Himachal Pradesh is such a place where a wide range of adventure and sports are available. Very few places in the world are as richly endowed as Himachal Pradesh. Low rolling hills, just a couple of hundred meters above sea level, climb on to touch the core of the Himalaya Mountains. Here lie peaks that are several thousand meters high and never lose their perennial snows. Himachal Pradesh, with its geographical diversity, rich forests, hills and terrain has a lot to offer to adventure seekers. You can enjoy of Golf, Trekking, Skiing, Camping, Para Gliding, Mountaineering, Water Rafting etc as a part of Himachal Adventure Tours package with Grand Tours India. Golf has for long been a favourite with affluent tourists. There are around 160 golf courses in India. At Naldhera, 23 km beyond Shimla is one of the oldest golf courses in India. The course, whose topography is absolutely natural, was originally placed by the British Viceroy of India, Lord Curzon. This is a par 68, nine hole course which is regarded as one of the most challenging in the country. Trekking is a very popular sport which can be practiced at different levels by both young and old persons who may be either very fit or not so fit. Almost every area in Himachal Pradesh has novel trekking routes. A diversity of terrain offers trekking scope for almost everyone, from novice trekkers to professionals. A few popular ones are – from Shimla, via Luhri (85 km by bus) – Anikhang – Jalorripan, Jibhit to Banjer, Dharamsala, via Bhagrunath to Tirund, Kullu via Jari (35 km by bus), Malane – Maggor to Kullu/Manali, Manali to Rohtang pass, Dalhousie to Khajjar, Manikaran to Pulga-Sara Umga pass etc. Skiing is a major tourist attraction in Himachal Pradesh during winter. Kufri, near Shimla is one of the oldest places in India to be associated with skiing during winter. Above Kufri, the Mahasu ridge also has good slopes. Comprehensive facilities exist at Arkansan, 64 km from Shimla. There is a range of slopes, including beginners run, an advanced slope and a slalom run. 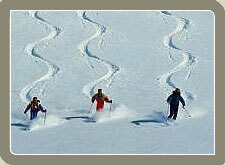 Winter and summer skiing is possible in the Solang area near Manali. Camping is perhaps the best way of enjoying the wonders of nature given to Himachal and sharing the warmth of its people. You can carry your own gear along or opt for any of the several camps that are pitched in various parts of the state. These camps offer accommodation, catering and a variety of activities like hikes, fishing, nature-tours and rafting. Most of these offer quality facilities and services. Himachal tourism has camps at Sarchu in Lahaul and in addition to built-accommodation, tents are available at Sangla and Kalpa in Kinnaur and at Kaza in Spiti. Para-Gliding is a n amusing and competitive flying sports. Riding the warm thermal currents of the air can be a very amusing and unique experience. This sport is a mix of sky diving and hang-gliding. A fairly recent sport that is steadily gaining popularity, para-gliding is possible at various places in the state. Places where para-gliding is done regularly are - Bundla Dhar near Bilaspur, in the Kullu valley and at Intkali in the Pabbar valley near Rohru. This sport is more specialized and requires more fitness and determination on the part of mountaineers as compared to trekkers. It still offers some flexibility in terms of time budget and the skills required because the nature of climbs differ from each other. Since higher altitudes and more adverse weather conditions are encountered, the requirement of equipment is also much more. 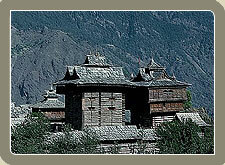 Going with Grand Tours India fulfils such requirements. In India, the sport is an attractive proposition for tourism purposes because of the large number of climbing challenges available in the Indian Himalaya. It continually attracts both Indian and foreign climbers. Peaks in Himachal Pradesh are much more easily accessible from road heads which saves on the time required. The area around Manali, presently forms the core of mountaineering in Himachal. The state also has several other areas where mountaineering is possible.